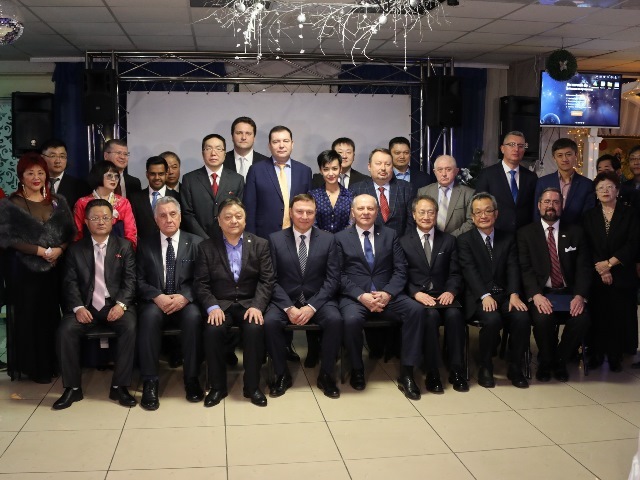 The chief of the ICIE Representative Office in the Asia-Pacific Region joined foreign consuls, local diaspora leaders, and regional and municipal government officials in the celebration of East Asian New Year in the Far-Eastern Federal District of Russia. 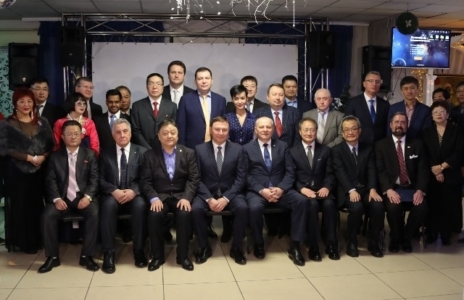 As is customary, the meeting was hosted by the Association of the Korean Organizations in Primorsky Krai (AKORP) in the town of Artem. Greetings and heart-felt wishes were offered by foreign diplomats and consular officers stationed in Vladivostok, Russia, including the Consuls General of the Republic of Korea, Democratic People’s Republic of Korea, People’s Republic of China, the United States, Japan, Republic of India, Socialist Republic of Vietnam, and others. 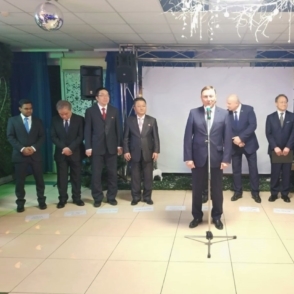 Guests of the celebration expressed their hopes that the New Year 2019 would bring landmark events that would make a difference for the strengthening of peace and security on the Korean Peninsula and the Asia-Pacific Region as a whole. 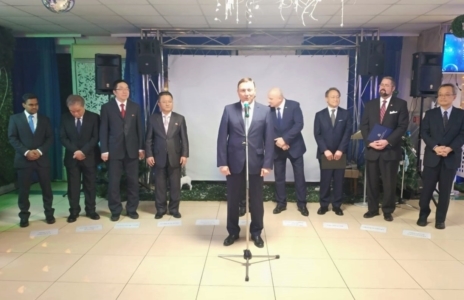 For their part, the Consuls General of the Republic of Korea, DPRK and the US spoke highly of the role of the city of Vladivostok as both the administrative centre of the Federal District, and a hub for international economic and cultural communication between Asia-Pacific nations. 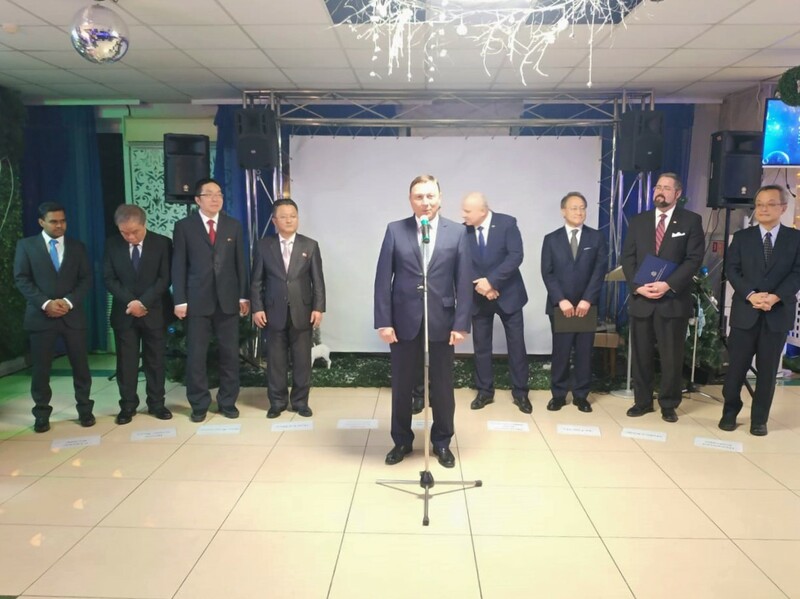 The guests were particularly impressed by the original, colourful music and dance show, staged by the hosts, featuring folk songs and dance from Russia, the Koreas, Japan, India and Vietnam. By way of a New Year’s present for the guests, the Japanese vocalist Shimura, invited personally by the Consul General of Japan, performed several Russian folk songs, singing some of them in her native language.